This post was also featured in The Food Channel. Midnight passed a couple hours ago, but we weren’t tired. 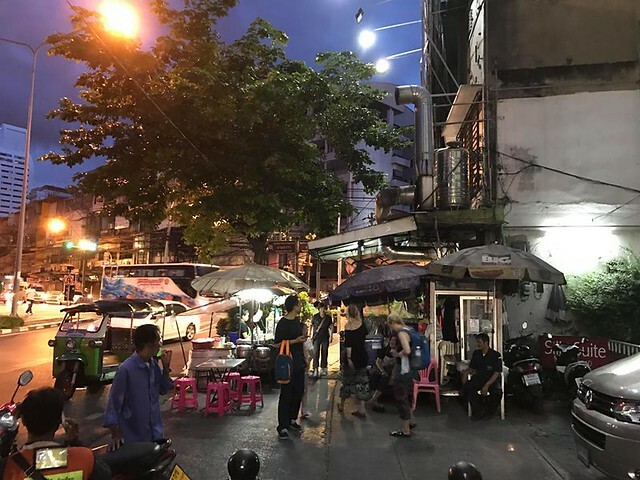 The sheer energy coursing in the city kept us awake as we made our way through the crowded alleyways of Silom, a district in Bangkok we stayed in. Looking at our phones, we realized that it was already 2 a.m., but we didn’t want to stop trying all the foods Thailand had to offer. When we finally ordered all the dishes we wanted to try, we sat down on flimsy plastic chairs on a long table with strangers on either side. It was a nice sight – locals mingling with expats and camera-wielding tourists as they all enjoyed the good food and company. We all know that the street food scene in Thailand is amazing. 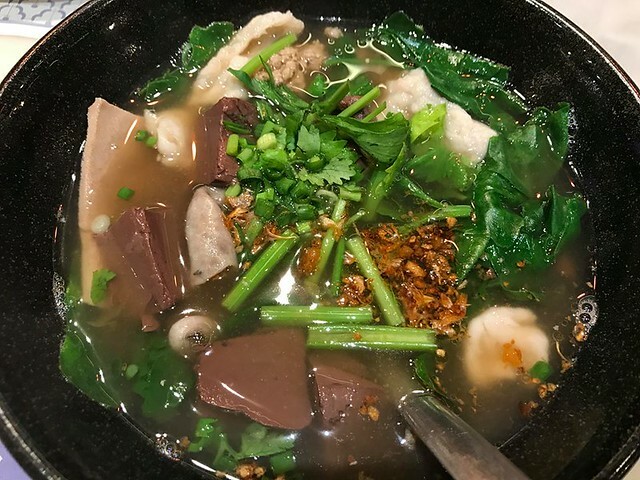 Yet as we breathed in the spicy aromas wafting in the air, bumped shoulders with strangers and took in conversations happening over warm bowls of tom yum, we realized that we could be searching the whole world but would never find something that comes close to this. Tom Luad Mu. It’s a clear soup with a rich soy sauce base filled with vegetables, spices and congealed pig blood. Yes, you read that right. We ate congealed blood that felt like jelly but tasted like meat. Eaten with white rice and some chili sauce? It was unreal. 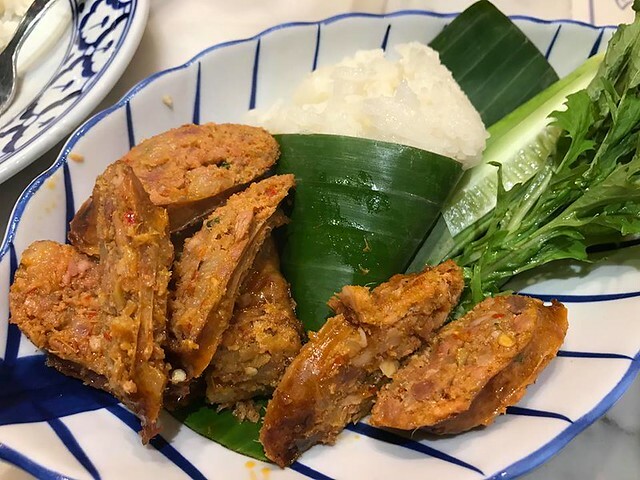 This dish is definitely not for everyone, but for those of you who are adventurous or curious… go try it! Mango Sticky Rice. 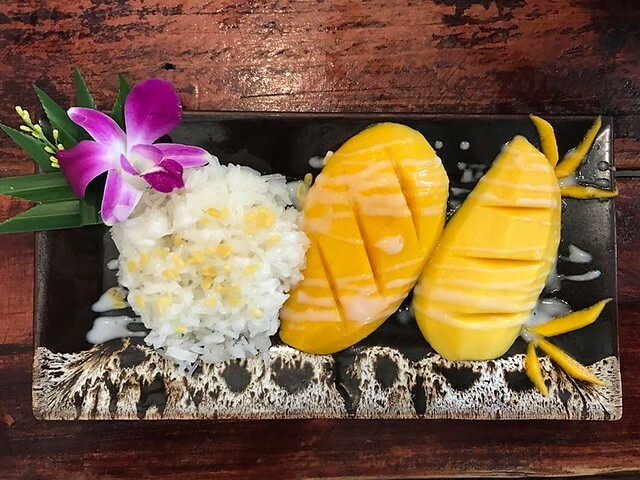 There are no words to describe the playful mix between the sweet mango and the sticky rice, combined with the crunchy toasted seeds and creamy coconut milk. It’s a burst of flavors and textures that will just leave you wanting more. Milk Tea. 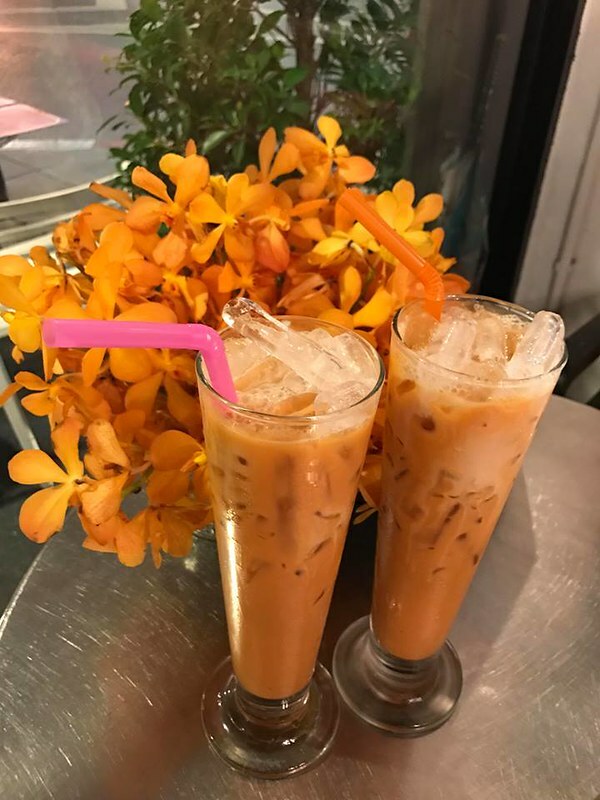 For drinks, there is nothing like the classic iced Thai milk tea. The hint of spices marries well with the black tea and the sweet condensed milk, creating a delicious and refreshing concoction perfect for those hot nights in the streets of Bangkok. Best of all, its orange color is very beautiful (and perfect for your Instagram feeds). 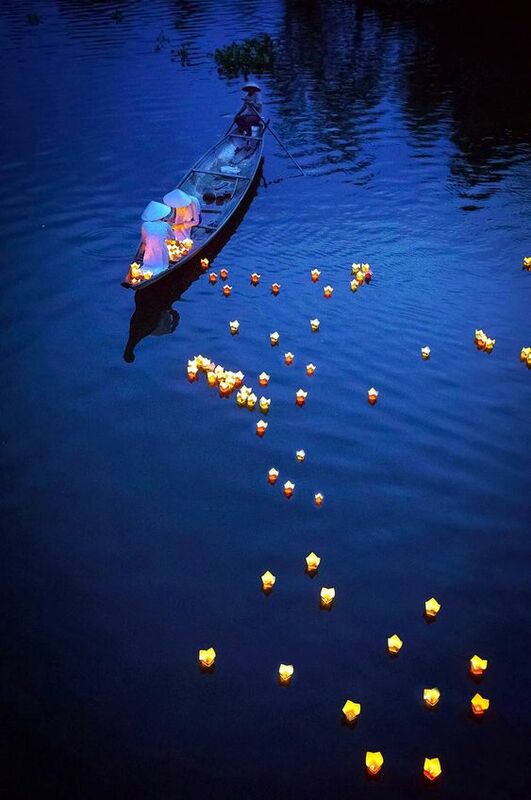 Hours passed and a hint of blue began to appear in the dark sky. The crowd dispersed and one by one, the vendors took down their stalls. It was time to go home, and even though we wanted more, we weren’t sad. We knew that come nighttime, this whole world of culinary wonder would reappear, and we could do the same thing over again. This entry was posted in Food and tagged food, mypassengerdiaries, photography, thailand, travel, wanderlust. Bookmark the permalink. Thank you! And yes, mango sticky rice is the best! Foods looks so yummy. My mouth is watering.